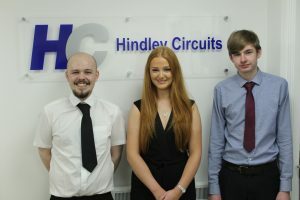 We are delighted to have added two local apprentices to our company to support our long-term aspirations. The new apprentices, Callum Barnes and Adam Thorman, will receive our full support during their apprenticeships and will benefit from an in-house fast track training program. It is an exciting time to be joining our company as we expand through organic growth and acquisition and we are sure the new apprentices will bring another dimension to what our company has to offer whilst gaining a foothold on the career ladder. An important part of our growth is ensuring we make the correct investments at the right time and we believe the new apprentices will help the company grow long term. We always strive to meet our client’s needs and develop our offering to suit so we always have a healthy pipeline of work and can continue to invest in our young people. We will fully support them both and look forward to helping them grow within our business.